You may find yourself in a place where every day is a struggle, where true happiness seems SO far away, but know that in the end, you WILL have learned something, you WILL have earned some of life’s most important tools, tools that will not only help you, but help you make a difference in the lives of others, tools & life lessons that you wouldn’t have had otherwise – which makes it worth it all. Hi Everyone! My full name is Dana Renee’ Billingsley, but I typically go by Dana Renee’ online. You’ll notice some Spanish words here & there – I’m trying to teach myself Spanish (see my Sitios Favoritos on the bottom right if you’re interested in learning a new language for free). I’m a shy person, until you get to know me. I firmly believe that kindness & respect are two of the most important traits a person can have – I try to live by that. I was inspired to write poetry in part by my Grammy (who also writes) & by a highly publicized event – the kidnapping of Amber Hagerman. That was when I wrote my first poem, about Amber being out of pain, happy & in heaven. I was around 10 to 12 years old at the time. God, family/friends, poetry, music & reading are major parts of my life that have helped me heal from all that I’ve been through. There’s some fictional and personal writes here, and some written from the experiences of others. Many of my poems have been inspired by online challenges hosted by The Poet Sanctuary. Whether you’re a beginning or experienced writer, this site is definitely worth checking out! I work full time editing engineering reports for English & Grammar. In the past, I volunteereed as an assistant teacher for Missionettes (similar to Girl Scouts) at my church. I also spent time at Boys & Girls Club as a teacher on Friday nights – I started out teaching a girls’ crochet class, and then a girls’ poetry class there. My husband passed away in May 2011, so I decided to take some time off from volunteering on a regular basis to focus on myself/my family and work through our healing. In January 2012, I started going to a group called GriefShare, which I recommend for anyone going through the loss of a loved one. I’m a Christian woman who loves God, but am still learning to trust Him more & still healing from my past. In the future, I see myself becoming a stronger woman of God, able to show others His love by being there for & helping them in their time of need. My Grammy is a missionary in Africa, & that’s something I’ve always dreamed of doing. I KNOW that I will someday go to Africa to help people in need, but I’m not exactly sure what that will mean for my future. 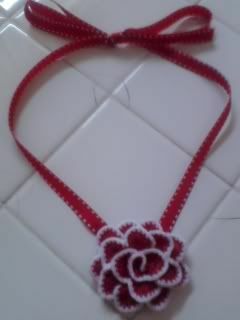 My Grammy taught me to crochet when I was around 10 or so. 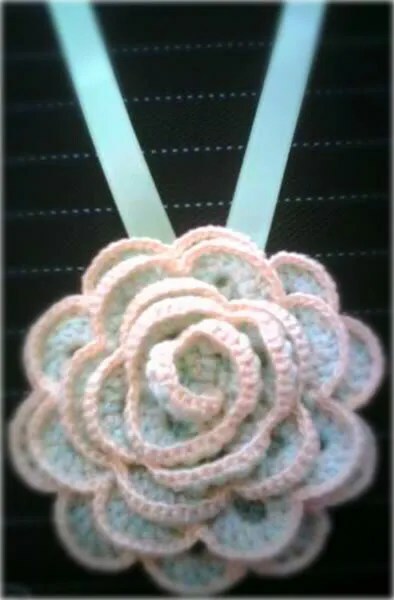 I really love making gifts for people – I’m more into the quick crochet projects, rather than blankets, clothes, etc. I recently started sewing more (which I’m not as good at) and have been sewing some things here and there. I really need to take a class for that one of these days! Here’s a couple of pictures of my work. 🙂 Thanks for taking the time to read this!! I plan to post once a week. New posts coming soon! Congratulations Dana. I’m so happy that you have found the courage to follow your dreams. Trust in the Lord and He will trust you. 🙂 Thanks so much Georgia! Thanks so much Melanie! It’s definitely scary! Glad you like it so far! I am so glad you are stepping out of your shell…I am so proud of you. Love you!!! 🙂 Thanks Charlotte! Love & proud of you too girl!